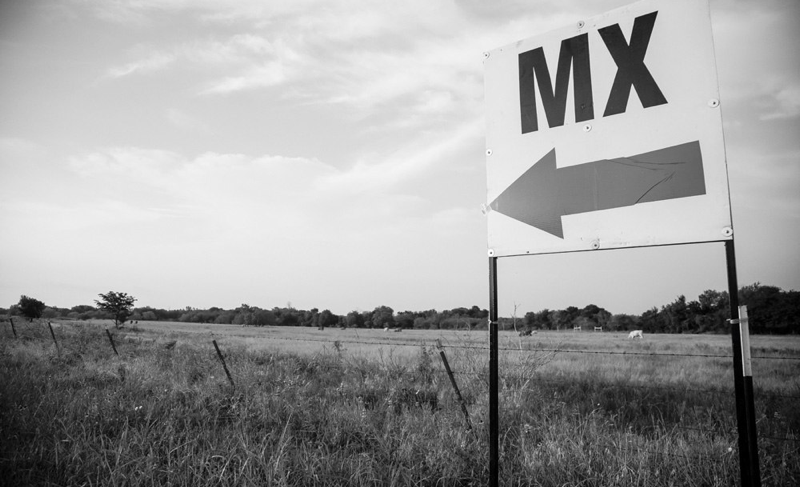 MX TRACKS THE MODERN WAY TO FIND TRACKS. 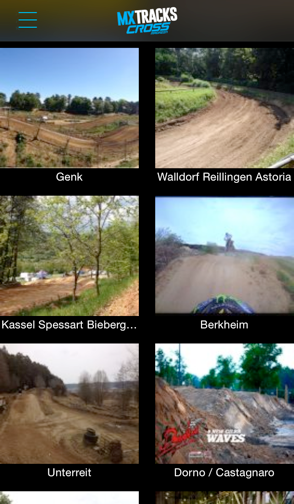 NOW WITH NEW DESIGN AND MORE THAN 2.000 MX-TRACKS IN 38 COUNTRIES! 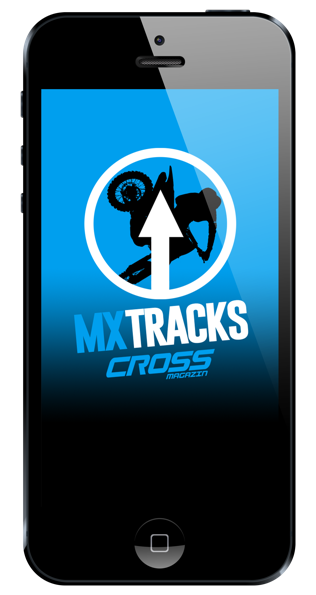 618 MX tracks in France, 339 in Germany, 294 in Italy, 177 in Sweden, 122 in Spain, 122 in the UK and many more all over Europe! 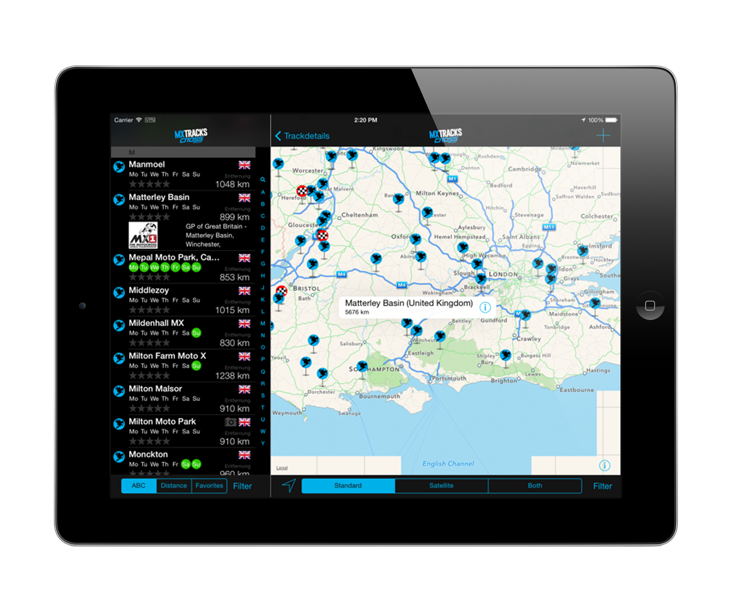 You are always supplied with the newest data as soon as you launch the app - no hassles no hidden costs an all inclusive service. 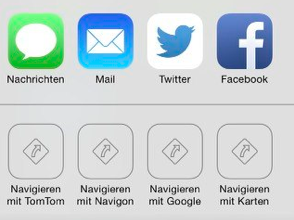 New in this version is the visible distinction of tracks each with a specific icon. 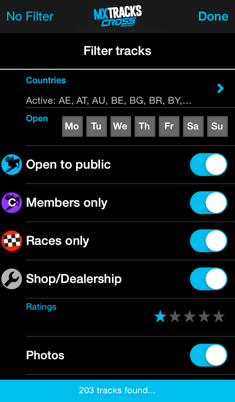 You can easily distinguish between tracks open to public, for club members only and tracks open for race events only. 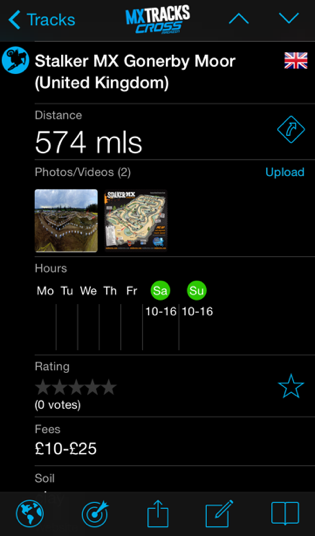 With one look you can realize the opening days of the tracks, how far your are away and ratings of other App users about the track as well as wether there are photos of the track. 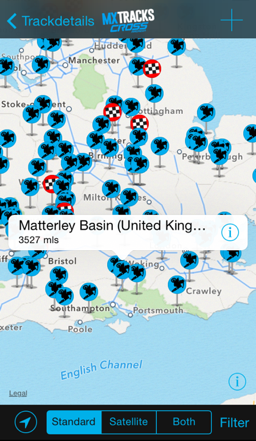 Display the track alphabetically by name or by distance form you current location. You can bookmark any track to your personal favorites list. What good is an ever growing list of information if you cannot find what you're looking for!? Filter the tracks you can ride on the next thursday and saturday, see tracks open for race only, list just the tracks in your home country or maybe just in Italy if you plan to go for a motocross vacation. and Christian Kaas. All rights reserved.